This tutorial describes how to inspect request processing to help you with debugging and troubleshooting your API. 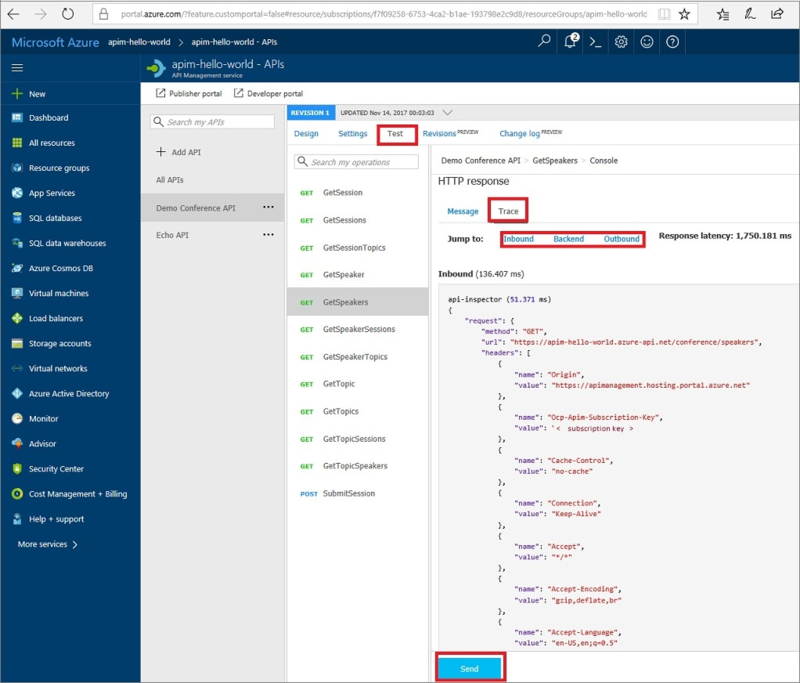 Learn the Azure API Management terminology. Complete the following quickstart: Create an Azure API Management instance. Also, complete the following tutorial: Import and publish your first API. Click Demo Conference API from your API list. Switch to the Test tab. Make sure to include an HTTP header named Ocp-Apim-Trace with the value set to true. If Ocp-Apim-Subscription-Key is not automatically populated, you can retrieve it by going to the Developer Portal and exposing the keys on the profile page. Click "Send" to make an API call. Wait for the call to complete. Go to the Trace tab in the API console. You can click any of the following links to jump to detailed trace info: inbound, backend, outbound. 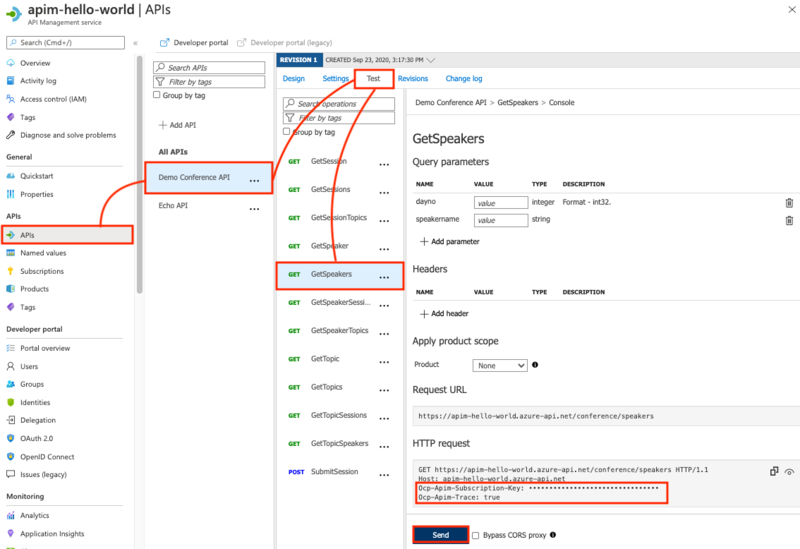 In the inbound section, you see the original request API Management received from the caller and all the policies applied to the request including the rate-limit and set-header policies we added in step 2. In the backend section, you see the requests API Management sent to the API backend and the response it received. In the outbound section, you see all the policies applied to the response before sending back to the caller. Each step also shows the elapsed time since the request is received by API Management.